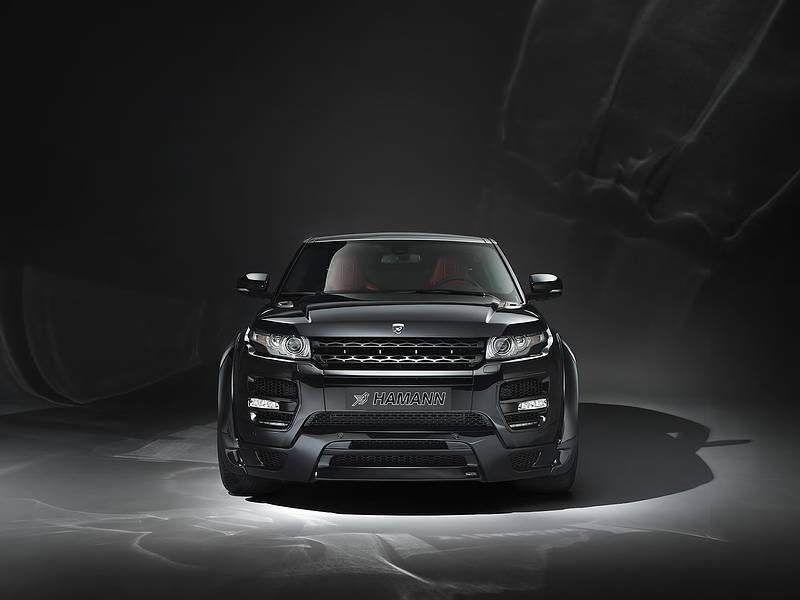 The new Range Rover Evoque is a change of pace for the British automaker. Instead of the traditional all-terrain, luxury SUVs, they have shifted their focus towards a younger, modern buyer that isn’t likely to drive through harsh landscapes. 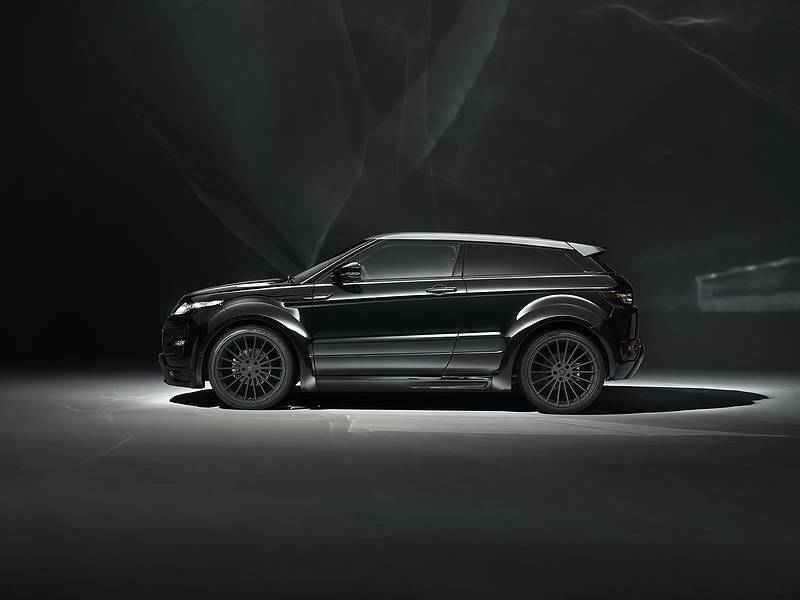 But, according to Hamann Motorsports, the new buying demographic for the Evoque wants a bold, powerful looking automobile, which is why they have unveiled an all new widebody upgrade program with power to boot. 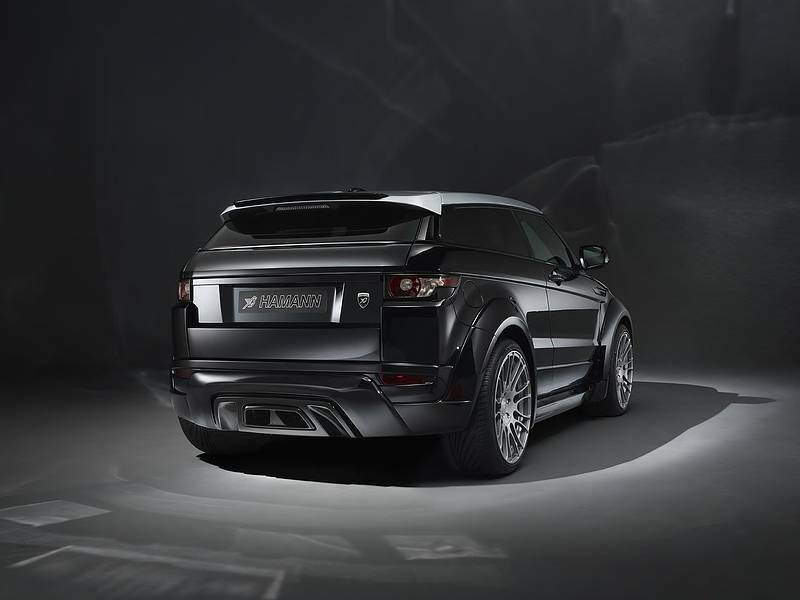 The most striking aspect of the new Hamann Evoque is the flared fenders that bulge from the lowered SUV. The widebody upgrade extends the front axle by 70 mm and the rear by 80 mm, creating a muscular and intimidating look. Each of the fenders is connected by a pair of side skirts and work in conjunction with the upgraded front bumper to form a powerful shape. At the rear, the German tuner installed a new roof spoiler and a bumper that seamlessly flows into the extended rear fenders, and houses a dual, centrally-mounted exhaust. Hamann Motorsports took on all four engine variants of the Range Rover Evoque to fill the widened fenders with some extra muscle. Both the gasoline and diesel engines were fitted with a new exhaust system, air intakes, and an optimized ECU. These upgrades resulted in a 38 horsepower increase for the 2.2 Si4, and a 31 horsepower/48 lb-ft. of torque increase in the 2.2 TD4, 2.2 ED4, and 2.2 SD4 diesel engines. Even though all of the engines were upgraded to back up the looks of the widebody design, the Range Rover Evoque still had to be able to handle twisting corners. Hamann Motorsports installed new lowering springs that reduced the center of gravity by 30 mm and reduced body roll for more dynamic handling. The team then swapped out the standard wheels and installed their in-house Edition Race Anodized Forged three-piece wheels with a 22-inch diameter. Each of the forged wheels was finished with a high-gloss polished flange and anodized anthracite spokes, and fitted with titanium screws. Customers have the option to custom-tailor the entire interior to individual specification. Hamann Motorsports offers a range of leather and alcantara with custom stitching along with personalized floor mats, aluminum pedals, and other accessories. The Hamann Motorsports Range Rover Evoque widebody upgrade is currently available as an entire package. Pricing for the entire package and individual accessories has not been released. 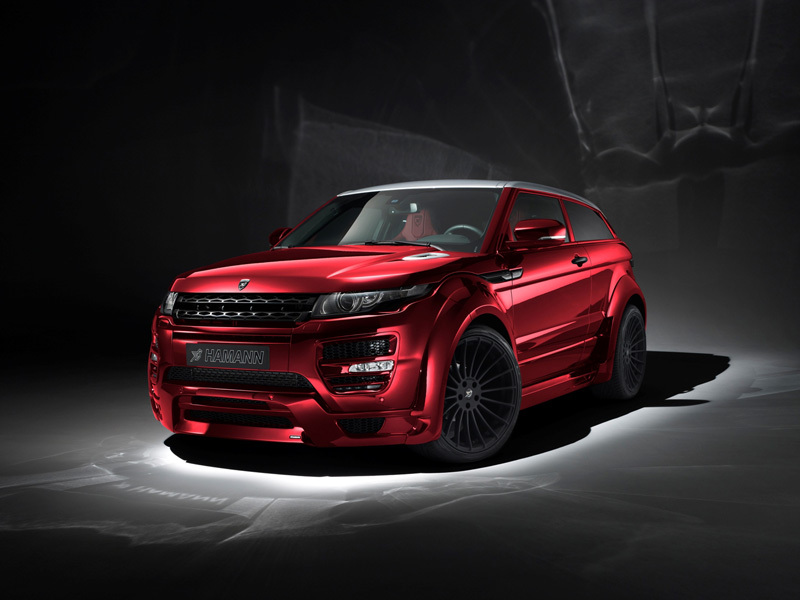 What do you think of the widebody Hamann Range Rover Evoque? Leave a comment and let us know! Want to be like The Game? Just buy a $200k Leather Ferrari!